Do you ever wonder if a program that will make you a few hundred bucks a day without doing anything. 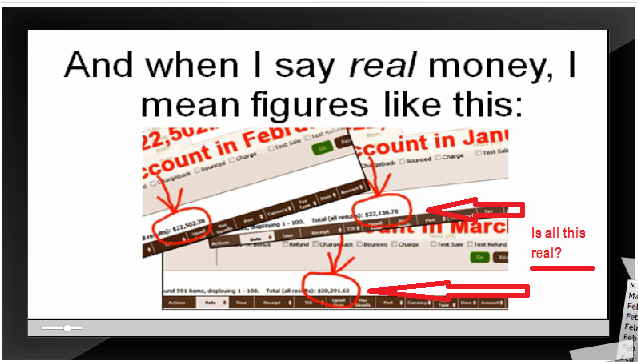 Just simply launch the software and it will run on autopilot and keeps on bank rolling money to your bank account. The cost of investment is so cheap that you will want to buy it without thinking twice. It is quite astonishing when you hear about a product that are able to do this. As an internet marketer, we spent hours listening to webinars, reading training manuals and improving our websites in order to be successful in our online business but this guy create a software that can get money easily. I am very sceptical. So, let’s get on to review this product. Basically, Killer Content System is created by Socretes Sacratus. 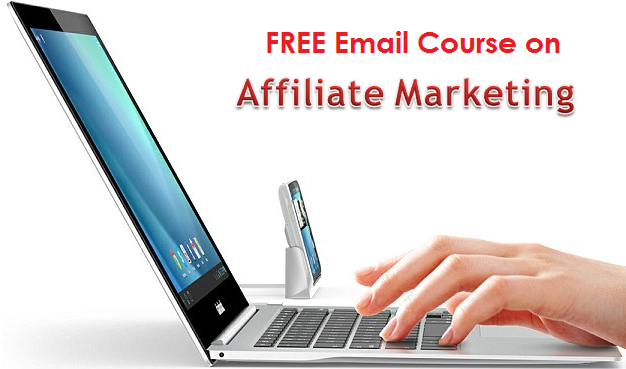 He develop this program to help users to earn a passive income in online marketing. 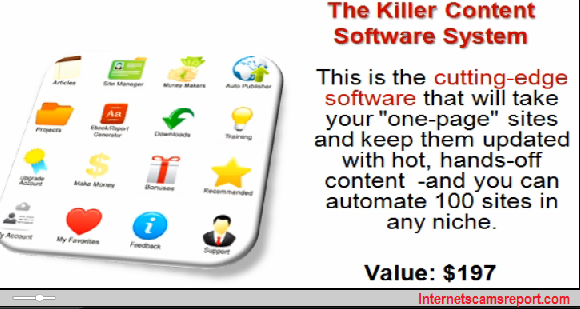 The program or software consist of variety of training modules that you can select from such as list of profitable niches, access to 100 websites, 1500 professionally written killer content article spinner, killer content paid traffic system, etc. How does the system works? Well, the owner, Socrates does have a great idea for you to create an income. Basically, when you are ready to launch this software, the system will find articles from the 1500 professionally written killer content articles and post them in your website and the article spinners will create a duplicate article and create more content out of the existing article. This will therefore will make your content page to a good ranking on the search engines and create traffic to your website. You can do this in the past but now search engines such as Goggle can track this and your reputation in the long run will not be good and it is not advisable to do this. When you are at the home page, you will be need to view a 30 mins introductory video by Socrates. The introduction is the same as other internet gurus I came across, talking about how poor they are and thereafter developing a program that earn him tonnes of money online. There are a lot of BS in his videos and I can honestly tell you that you will need to work tirelessly to get that kind of income. I don’t mean to discourage you but it is a real fact and in the internet online business you will need to work hard in order to be successful. Should you Killer Content System? The cost of investment is affordable with no upsells and a money back guarantee if you do not like his product. However, you will need to take note on certain things. On the product videos, you are advice to keep on launching new websites (in order to use his article spinner). So to create a website domain, you will need to purchase a domain which can cost about $10 onwards. So if you are to launch 1 website per day, you will need to invest in another $300 per month on top of the $37 initial purchase. This is excluding hosting, outsourcing, create contents, etc. So think about it. From his videos, Socrates let you know that it is easy to make money out of his system. In reality, I don’t think you can make money without doing anything and let the system run on autopilot. Moreover, the tools that his system offers you like article spinners are tracked by Google as negative tools of SEO and your ranking in the long run will be severely affected. 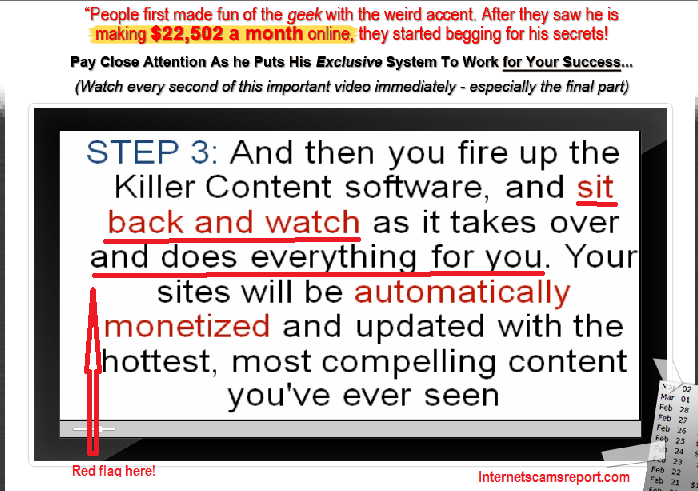 Killer Content System is a scam to me. There are quite a number of red flags in this system which I do not recommend. Honestly speaking, I have some doubts when I watch the introductory video and I can say this program is not for you. My advice is with proper training and hard work, you are able to achieve your goals. 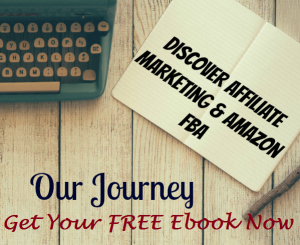 You can check out my #1 Recommend Product to get a better understanding on the product which will teach you the fundamentals of online business and it’s 100% free. Stay safe out there. Feel free to comment below. Many Thanks. 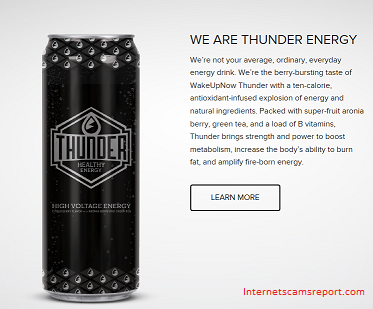 Is Wake Up Now a scam? It is not going to wake me up.